Sprinkler systems have evolved and advanced in many different ways over the last half-century. There are generally four different types of sprinklers and these include residential sprinklers, industrial sprinklers, underground sprinklers and agricultural sprinklers. Neave Irrigation can assess your situation and help you develop, design and install the ideal sprinkler system for your property. We are equipped to service projects of virtually any scale! The most important factor when designing a sprinkler system is accomplishing the perfect precipitation zones. The sprinkler heads should be placed at precise locations that allow them to deliver water to the necessary areas of your property. These can include shrubs, trees, planted areas and large sections of grass. We take extra care to eliminate dead zones, where precipitation falls on to concrete or other non-useful areas, to maximize the water you use. Our design team will ensure that your sprinkler system has optimal precipitation zones so you don’t waste water. Sprinkler systems can be manually operated, partially automated or fully automated depending on your preferences. If you’re interested in having your residential sprinkler system on a routine timer, then just let us know! Our staff will be happy to explain all of the different automated systems that we can provide you with. For residential customers, sprinkler systems are available in a wide range of styles and sizes. These include impact sprinklers, oscillating sprinklers, underground sprinklers and drip sprinklers. Not sure which one is right for you? Don’t worry! That’s what Neave Irrigation is here for. A site analysis performed by one of our staff members will allow us to advise you on the best sprinkler system for your property. We can custom design a sprinkler system that is as simple or complex as you need it to be. Commercial property owners face many challenges when instituting a sprinkler system. The size and scale of the property, the goal of the irrigation system and the complexity of the design are all unique to each and every client. If you are a commercial property owner that wishes to explore our irrigation service offerings, please don’t hesitate to contact us as soon as possible. We’ll send out a Neave Irrigation associate to meet with you, survey your property and assess the best options for your particular needs. 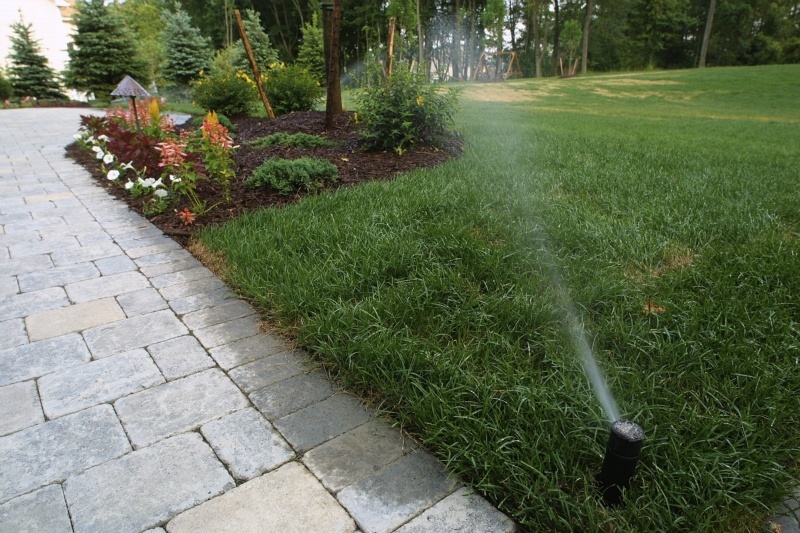 Neave Irrigation offers a complete sprinkler service for residential and commercial clients alike. We can design, install and maintain your sprinkler system and schedule regular visits to check up on how your system is performing. Contact Neave Irrigation today to get started on your very own, customized sprinkler system today!